Check back often, or follow me, to check out future task card sets. No prep needed! 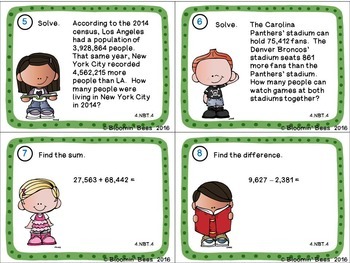 These cards are perfect for centers, early finishers, test prep, a quick assessment, or a whole class game of Scoot. 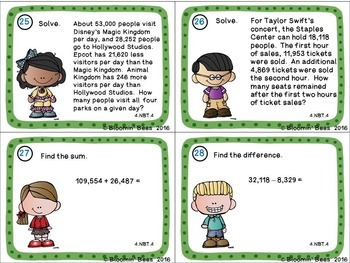 An answer sheet is provided, and best of all, kids can self-correct their answers with the key. 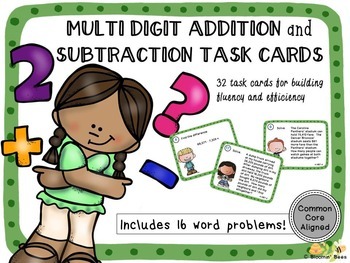 A must have resource for the busy common core teacher! I recommend printing these in color on cardstock, if possible; however, black and white will work fine too. Then, cut the cards apart on the solid black lines and laminate for durability. I suggest storing the cards in a plastic baggie or hole punching them in the corner and placing them on a binder ring.